That right there is why I wanted to read this book. And I can say it is just as good as it sounds! I'd forgotten how fun middle grade books can be until I read this. The only reason I didn't give it 5 stars was because it was incredibly long and seemed to drag a bit at times. Sophie and Agatha live in a village completely surrounded by the Woods. No one ventures into the Woods and no one ever leaves...except for every 4 years two children are kidnapped never to be seen or heard from again. 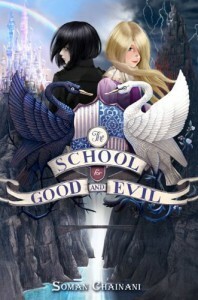 Rumor has it, they are whisked away to this School for Good and Evil. One must learn to be Good, a prince or princess and the other must learn to be Evil, a villain. 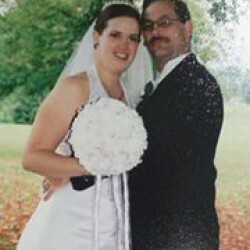 Then they are thrust into a fairy tale to live happily ever after (or happily NEVER after). Oh, and did I mention there is a HUGE cliffhanger at the end?